This is music created by a pianist who is not afraid to leap across boundaries and express himself in a unique way. 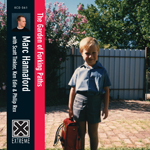 Hannaford has already made a considerable impact in the Australian jazz scene with his previous release on Extreme, THE GARDEN OF FORKING PATHS, and he has undoubtedly jumped into new territories with POLAR. In this sense then, POLAR is a very personal recording. On it you can hear Hannaford search, sometimes carefully, sometimes with abandon, but always with conviction, for a place where the music creates its own order. This order produces a fascinating narrative that is unique to Hannaford. 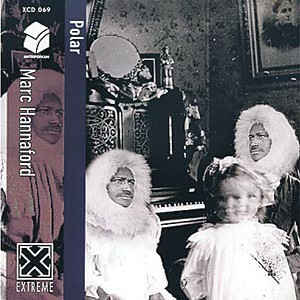 POLAR also documents his exploration and synthesis of post-serialist harmony, counterpoint and rhythms that move through varying divisions. It is very apt then that John Rodgers’ piece ‘Canon Cancrizan’ was included. It is a piece that represents Rodgers’ own re-construction of very similar musical elements. POLAR is the next stage of bringing Hannaford’s own voice into focus. Given the innovative expression that Hannaford is obviously capable of, it is a journey that will surely continue long into the future. All compositions by MArc Hannaford except Track 1 by John Rodgers. Recorded on July 10th, 2008 at Yarra Edge Theatre, Northern Melbourne Institute of TAFE, Fairfield. Mixed and Mastered by Phillip Rex.